I feel very fortunate that I come from a family passionate about good food. We were very traditional in that my mum did most of the cooking and we would have at least one meal a day together as a family. I learnt about cooking in a similarly conventional way, as a child by cooking at my mother’s side and then later by experimenting and practising. I worked in various sectors of the food industry from 1994 and became increasingly dissatisfied with the state of Western food culture. Living in India for a year opened my eyes to a healthier, more localised, community-focused food system. Inspired by this, I returned to Britain determined to help redress the balance. Since 2001, my work has focused on encouraging people to cook healthy, fresh food and campaigning for a sustainable, ethical food system for us all. This has involved countless cookery demonstrations, workshops and cookery & training courses for thousands of people of different ages and abilities, from all walks of life. I’ve been privileged to work alongside some incredible people who share a vision similar to my own. 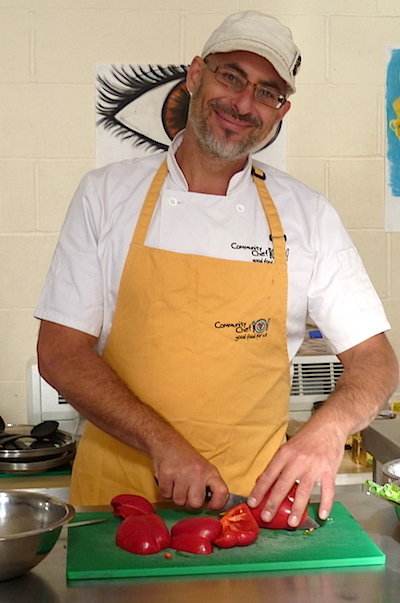 I continue to work in close collaboration with a team of highly skilled and creative chefs, health workers, artists and activists and in partnership with other food and community organisations. Feel free to contact me if you would like more information about the project or any of the services we offer.